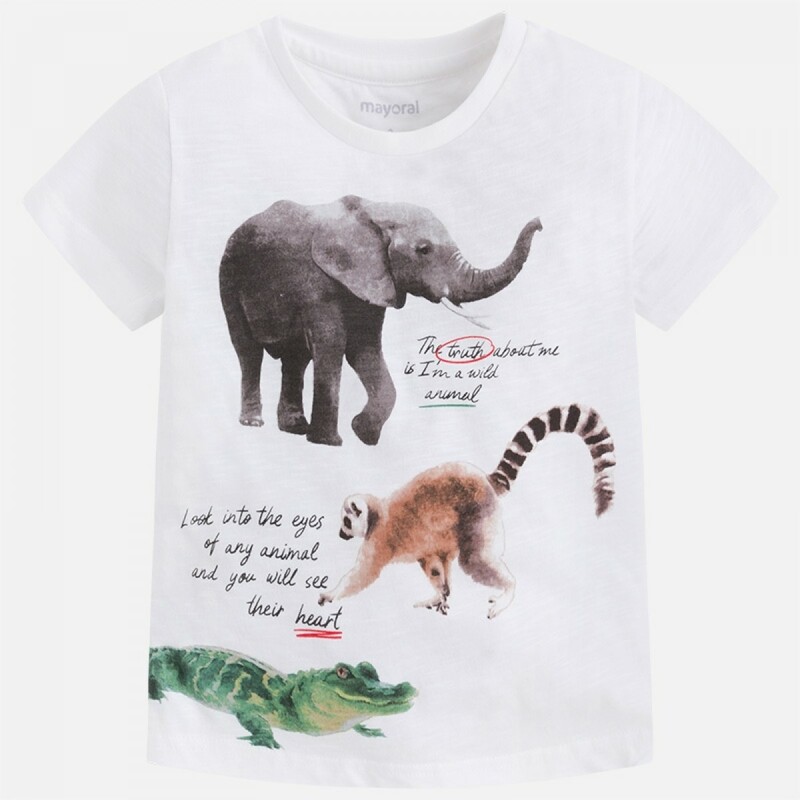 This super stylish printed tee with its informative animal print is incredibly fun to wear and guaranteed to be a hit with your little one. Whether he is off to play outside in the sunshine or spending a cozy day at home, this t-shirt will look great for any occasion. Team with a pair of blue denim jeans or chino shorts and your little guy's Summer look is complete!